Not sure if I’m able to blame my millennial status but I eat out more than I’d like to admit. I’m not alone though. Statistics back in 2015 have shown that Malaysians eat out more now since the past three decades. The rise of many food delivery services prove that Malaysians demand food to be delivered right to our hands without needing to worry about preparations. A study on millennials found that the reason most of them don’t cook is because they simply can’t find the time to allocate for food preparation and grocery shopping. Many mentioned that it’s not that they lack a passion for cooking, it’s more that they’re lack the time to drive out for groceries. Some also just can’t be bothered with going to get all the ingredients needed just for one simple meal. So to address this, services that do the time-consuming tasks (grocery shopping and prep) have come about. The customers are left with just the “fun” parts of cooking and eating (and cleaning up of course). Founded back in September 2016, OhMyGrocer is a fairly new entry into the grocery delivery market. It’s not exactly an original idea; many foreign countries have adopted this service and even seen a high demand for it. However, this is still a concept that has yet to take off in Malaysia, especially among the older crowd who are used to buying their groceries themselves. 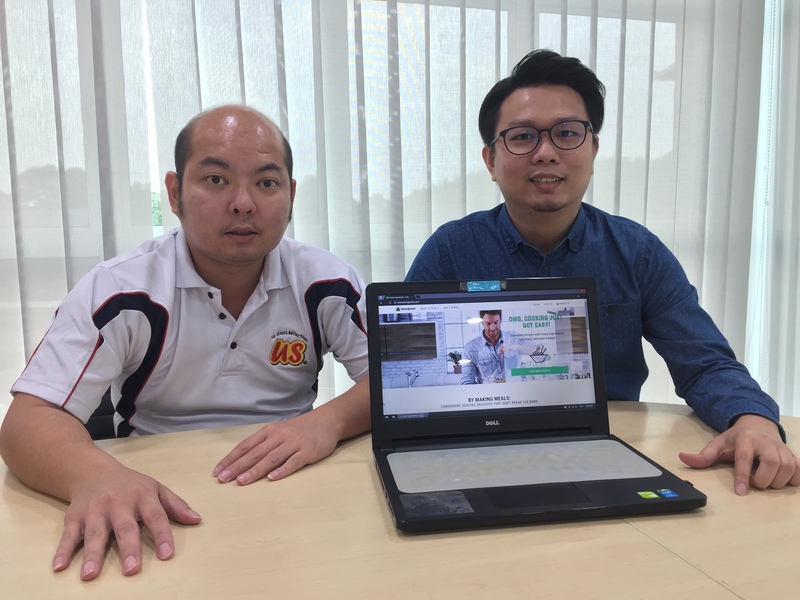 Founders Tan Seng Khim and Tan Jen Voon saw a problem when cooking for a small family in terms of expenditure. They’re forced to purchase ingredients in bulk when the recipe may need less. But although Jen Voon was complaining about the price of ingredients going up, Seng Khim who was in the food distribution industry knew that it was more affordable than people thought. So they came together and decided to start this venture for Malaysians who were facing this problem by preparing meal kits without hurting the bank. OhMyGrocer has a website where customers can visit and decide on a menu they would like to try. 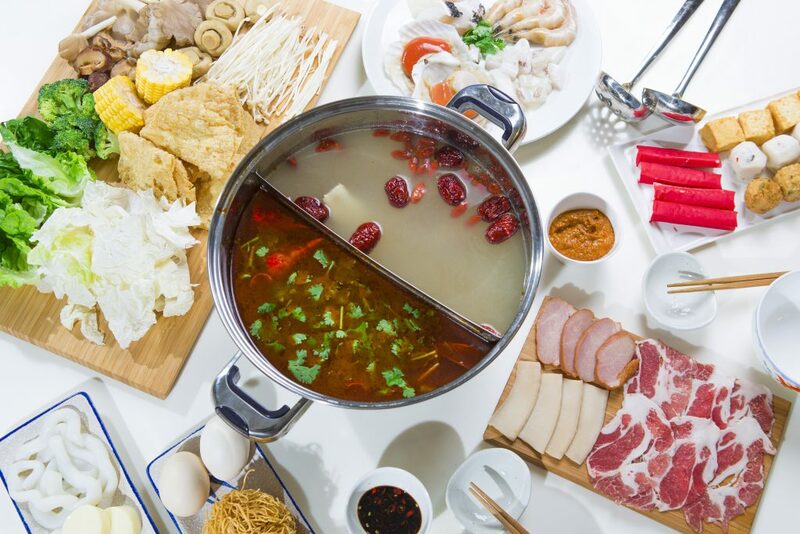 Their menus are split into 5 categories which are Entree, Steambot and Shabu-Shabu, Lok-Lok and Oden, Barbecue, and Sweet Tooth. However, as of time of writing, each category only has about 1 to 4 options which isn’t a wide variety. OhMyGrocer states this is because they need time to validate their services and market acceptance before they add more but they have shared 2017 will see more menus added on. According to the team, the chefs who prepare the menus all have culinary experience from restaurant consulting, publishing recipes in press and magazines, education, and even serving as judges for culinary competitions. 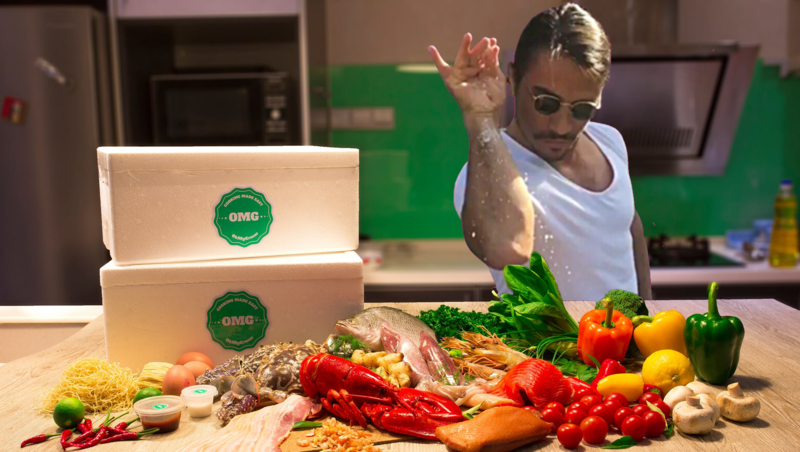 The chefs will propose menus and they will then assess them based on popularity, acceptance level, creativity, complexity, and availability of ingredients before going live on OhMyGrocer. “The complexity of the menus is determined by the number of steps, cooking experience requirement, time to complete and lastly recommendation from our chefs,” said Jen Voon. An example of what gets delivered to you when you order. The package comes in a big Styrofoam box with ingredients pre-packaged according to the quantity needed. It also comes with a step-by-step instruction sheet included with visuals to help you along the way. The only additional things you’ll need are condiments and cooking oil. Everything else will be given by them. The ingredients can be stored for a week and their meats are all halal. 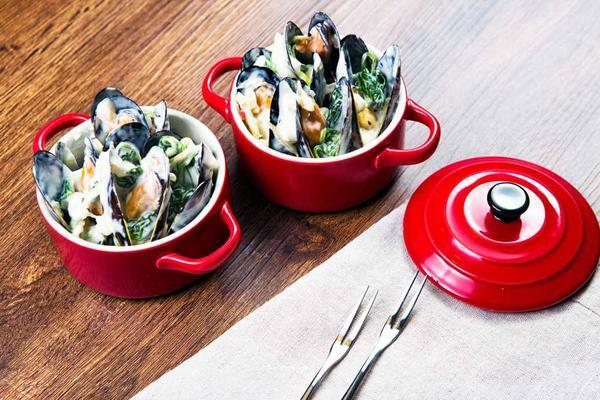 However, they do recommend cooking fish and seafood as soon as possible to ensure peak freshness and other meals within 5 days. Some may hesitate from using this service is if they’re particular about where these ingredients are sourced from. OhMyGrocer stated most of their ingredients come directly from farms and food producers while their processed food is from major established food brands and producers. “This is made possible by leveraging on our relationships and extensive networks we had garnered while being involved in the food distribution business. It’s a necessary step for us to shorten the supply chains and ultimately offering products at much lower price to our customers,” said OhMyGrocer. Their delivery days only run from Wednesday to Saturday between 10AM to 6PM as they would save by accumulating more orders per day and making less rounds. The deliveries are charged RM8 per location. Another worry would be any problems with the ingredients such as freshness. OhMyGrocer said they try to take care of this during their packing process and inspect the ingredients properly before sending them. They also provide a replacement or refund if the issues come from product quality within 5 days of delivery. 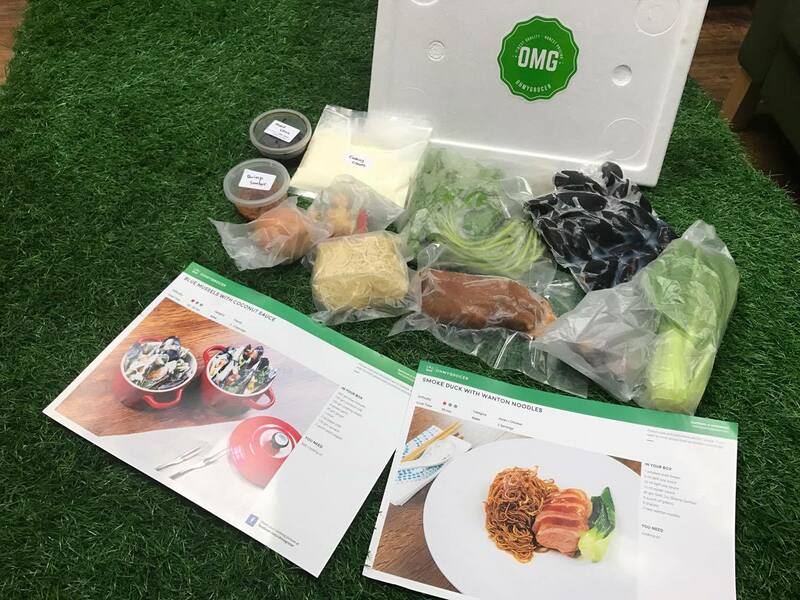 Besides looking to expand towards Singapore in the future, OhMyGrocer also shared their long-term plans on developing a new category called “Ready to Eat” aside from their current “Ready to Cook”. “Ready to Eat” is basically a food delivery service, which they’ll be adding on as another option for users. Personally, the whole business model still doesn’t appeal to me, as I’d rather get food delivered rather than have to deal with the cooking and washing up. A quick informal survey around the office found that generally, those who already enjoy cooking wouldn’t mind using this service, whereas those who don’t cook anyway wouldn’t bother. Going by this, the market that OhMyGrocer is targeting might be small. There have been similar businesses trying out the Malaysian market with this model but they’re not exactly flourishing at the moment. Urban Stove and Fooddit, which we have written about before, have both announced a short hiatus to revamp their model and improve on it. From this, you might get an impression that maybe the industry is just not hitting off in Malaysia. OhMyGrocer believes that is not the case as there is still high demand for groceries in Malaysia. However, the question is if they can now translate that high demand into users of their own service. They say that they also distinguish themselves from other services by providing deliveries that cater to bigger meals such as home party sets instead of just meal-kits. “We believe what truly sets us apart is we do not confine our business model to B2C but B2B as well by supplying ‘Lok Lok‘ to other food related businesses. This value-added sales channel permits us to stretch and broaden our reach to a different market segment,” said Jen Voon.